HEAR YE! HEAR YE! 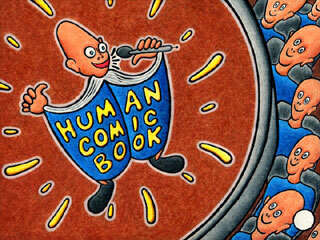 See freak-show TJ Richter, the human comic book unfold himself into stories, FLIP! FLOP! FLAP! that will make you laugh & cry & blow you mind, ka-BOOM!